Were you involved in a domestic dispute with a loved one? Did this result in a police response and criminal charges for Domestic Violence Simple Assault? Were you served with a Temporary Restraining Order as well? If you were arrested for a criminal offense like Simple Assault, it is important that you inform yourself of the penalties you are facing and what realistic outcomes you are facing. For non-indictable misdemeanor crimes like simple assault, you will have your case handled by the Willingboro Municipal Court. More serious felony crimes will be heard by the Burlington Superior Court in Mount Holly. If you are facing a criminal offense stemming from an incident in Willingboro involving shoplifting, assault, eluding, terroristic threats, unlawful possession of a weapon, possession of a weapon for an unlawful purpose, resisting arrest, drug possession or possession with intent to distribute, contact and experienced Burlington County Criminal Defense Attorney. Proetta & Oliver is a criminal defense law firm the represents defendants throughout Burlington County, including Willingboro. For an immediate consultation with an attorney, please contact our Mount Laurel Office at (609) 850-8284. We can be reached 24/7 for your convenience. Judge: Honorable Harold George, J.M.C. Prosecutor: John McGill, III, Esq. 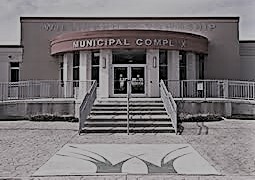 For more information on the Willingboro NJ Municipal Court, please visit the town website. If you have a pending court date with the Willingboro Municipal Court, contact the law firm Proetta & Oliver. We have represented thousands of clients facing criminal charges during our careers. We understand the dynamics that exist when you are students or young professionals facing the prospect of a criminal record. We have experience handling felony indictable matters and non-indictable misdemeanor cases in Burlington County. For an immediate consultation on your charges, please contact our office at 609.850.8284.